Does marriage matter?? YES! In my blogs I will be sharing summaries from the Center for Marriage and Families pointing out that Marriage Matters! These conclusions have been condensed into five broad areas. The first of these is that Marriage Matters for the Family. Marriage and family go together. Going back to the first couple, Adam and Eve, God told them to “be fruitful and multiply” Genesis 1:28 and the Psalmist said “Children are a heritage from the Lord, the fruit of the womb is a reward.” Psalm 127:3. It is no surprise then, that research shows that marriage increases the likelihood that fathers and mothers have a good relationship with their children. A healthy couple relationship translates into a healthy parent relationship as well. Children are more likely to enjoy family stability when they are born into a married family. Studies show that children are less likely to thrive in complex households and that “just living together” is not the functional equivalent of marriage. 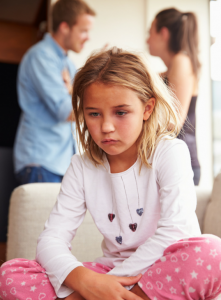 They also show that children who grew up outside of an intact marriage were more likely to divorce or become unwed parents. Unfortunately we are sinful human beings and we fall short of God’s ideals. Not all marriages are ideal nor are they uncomplicated. Family situations can be complex. That is why the Christian family realizes the importance of living in and sharing God’s love and forgiveness in their family relationships. When the walls of our home are built by God’s hands they will also be filled with His love. We know marriage matters. A couple’s relationship impacts the quality of their relationship with their children. It also impacts the relationships that those children will grow up to create for themselves. Lutheran Family Service has a goal to help build healthy relationships between adults as well as between parents and children. This is because we know MARRIAGE DOES MATTER for the FAMILY!